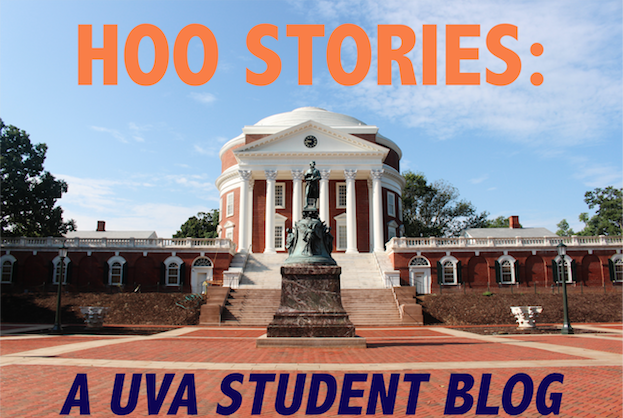 Hoo Stories: A UVa Student Blog: Meet the Interns: Meet Maddie! Meet the Interns: Meet Maddie! This week and last, we're posting a daily introduction to each of our fabulous Office of Admissions interns. These folks will be leading admissions tours this summer and are thrilled to meet & help prospective Hoos, both in-person and online. Please reach out to any or all of us with questions! We hope to see you on Grounds soon. Hi guys!! My name is Maddie Sugg, and I’m a rising third-year studying Government & Religion from Chantilly, VA.
Like the other interns, I’m hoping to shed a little light on different aspects of the student experience throughout the summer ~ I’ll be posting more about career services, tabling, who (hoo) lives in the pavilions, different types of student government, start-ups, and using UVA & Cville transit ~ so much to look forward to!! Around grounds, you can find me in Nau-Gibson (arguably the prettiest academic building), roller-blading down Culbreth, searching for the best spot to hammock, and hanging with friends on the Lawn. hiking, biking, & bears, oh my! Feel free to shoot me an email with any questions, interests, and/or vulture facts at mes4wh@virginia.edu! Meet the Interns: Meet Joshua! Meet the Interns: Meet Carly! Meet the Interns: Meet Ashley! Meet the Interns: Meet Brynna! Meet the Interns: Meet Jordan! Meet the Interns: Meet Rehan! Meet the Interns: Meet Zach!